Nabil Taha is the President of Precision Structural Engineering, Inc. (PSE) and is licensed in 27 states. PSE is a leader in green engineering and green design, offering services for a wide range of building systems, including earthbag, strawbale, bamboo and rammed earth. Hi! I would like to build an earthbag home in Georgia. I have private property and have already met with the city about code. They say I just need an engineer to sign off on its ability to hold up to 120mph winds. I have a basic design in mind, but my area is not familiar with this type of construction yet. I’m trying to find an engineer who can help me work with the structural integrity of my design. I do not really want to deviate into a whole other design by someone else, so finding someone who will work with it and not change it would be ideal. Any suggestions would be greatly appreciated. Thank you! Structure1.com can get them approved and make modifications. Most engineers do not work with earthbag designs or other non-traditional methods. 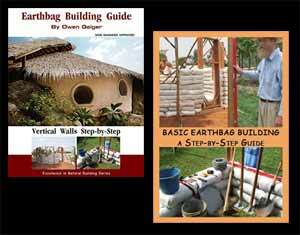 I’m looking for a structural engineer with knowledge of earthbag Home Building, that is registered in Florida. Please let me know if you know of anybody we really would love to build an earthbag home here in Florida however it is very difficult to find anyone with knowledge of these homes. Contact Structure1.com. First, you must obtain your house plans because they only do engineering. You can purchase these from me or anywhere you want. Just be aware that the cost to build in Florida will be much higher than other areas due to the very restrictive codes. Forget about saving money. I am working with a group of students, faculty and alumni at The University of New Mexico to develop a sustainable earthbag home for the Nepalese earthquake victims. We hope to provide a permanent home for them and not just a short term housing solution. We would like to build a prototype here in the states and would like it to be up to code. We are looking for a small rectangular structure with two rooms and a living space/ kitchen area. What designs might we be able to implement in New Mexico and in Nepal? Code approved structures for the most part would not be affordable in Nepal. They would cost around 10x more than structures that are not code approved. Even though the earthbag structures that survived the earthquake in Nepal suffered little or no damage while the surrounding buildings collapsed, they would not meet code. We’re currently compiling a list of recommendations for rebuilding in Nepal that will make them even stronger. Feel free to email me or leave comments here and I will try to guide you.